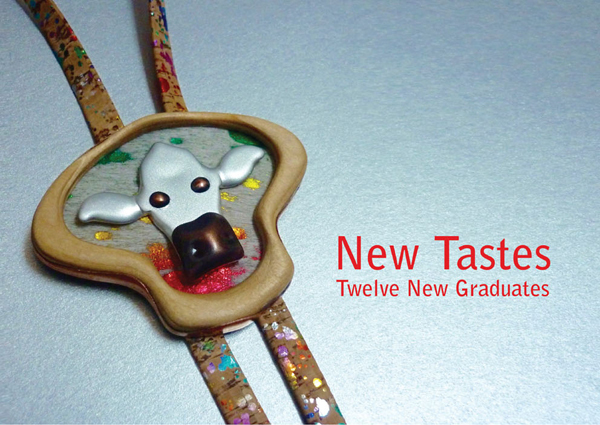 Kath Libbert Jewellery Gallery - New Tastes - Twelve New Graduates! Wanshu Li, Edinburgh College of Art - ‘Go with the Glow’ is a taste explosion – sensual, soft to the touch jewels, in a riot of fluorescent UV reactive nylon wire, inspired by raves, laser light shows, and jellyfish! Chen Cheng, Birmingham School of Jewellery - inspired by ballet, Chen’s delightfully playful series of rings and brooches seem alive, dancing on the body – every element of her finely manipulated metal wire mini sculptures move as the wearer moves. Darcey Skelly, National College of Art and Design, Dublin – ‘Voyages of the Starship Stetson’ - a collision of two iconic fictional genres, Sci-Fi and the Western, paired in a crazy creation of her own imagining. Her concept, if the Cowboys of the Old West found a way to propel themselves into Space to colonise a planet. Darcey describes herself as ‘an illustrative maker’, a storyteller who aims to show there is more to a piece than meets the eye! 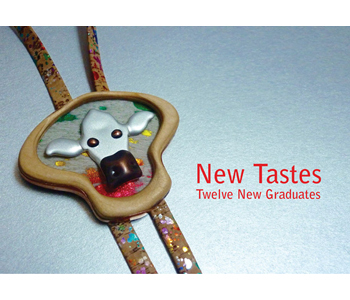 We are also delighted to serve up collections by: Francesca Lobb, Manchester School of Art; Felicity Lynden, University of Edinburgh; Freya Alder, Glasgow School of Art; Stephanie O’Leary, Middlesex University, London; Michaela Murrain, De Montfort University, Leicester, and Amanda Denison, Winchester School of Art.